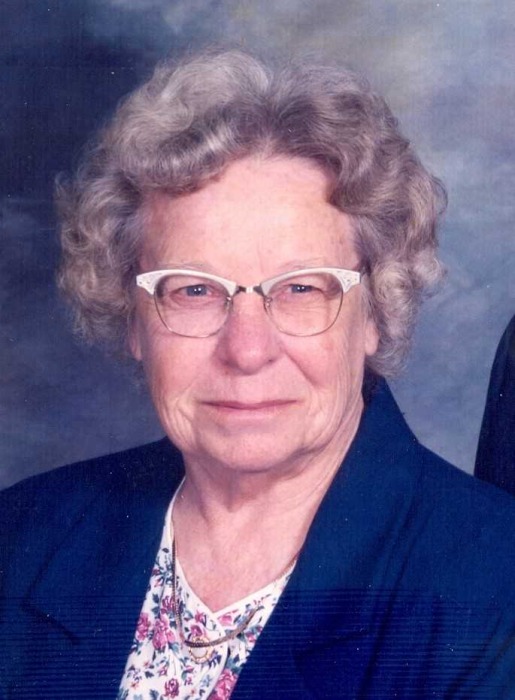 Mary Anna (Growcock) Fishburn, 100 of 635 Oakhill Ave., Plymouth, Indiana and formerly of the Argos community passed away on March 16, 2019 at 1:30 a.m. at Miller’s Merry Manor, Plymouth, Indiana following a brief illness. On August 6, 1918 in Roann, Indiana she was born to Thurlow and Sylvia (Cain) Growcock and had lived most of her life in the Argos community. On October 28, 1939 she married E. Doyle Fishburn and together they shared 65 years. On February 2, 1946 Husband Doyle and Mary moved to a farm on Linden Road, Argos, Indiana and lived there until August 12, 1995 when they retired to the town of Argos, Indiana. She and Doyle wintered in Avon Park, Florida for many years. Mary was a homemaker and a farmer’s wife. She was a faithful member of the Argos Bible Church, now Parkside Community, Argos, Indiana; where she was a deaconess and served on the hospitality committee for many years. Mary was a member of Green Township Homemakers Club, and loved sewing, embroidery, gardening, and growing flowers. Mary was a graduate of Lincoln High School, Plymouth, Indiana with the class of 1936. Mary is survived by her Son – Allen L. Fishburn of Fort Wayne, Indiana. Friends may visit with the family on Tuesday March 19, 2019 from 4 p.m. – 8 p.m. at the Earl-Grossman Funeral Home, 208 N. Michigan St., Argos, Indiana. Funeral Services will be held on Wednesday March 20, 2019 at 11:00 a.m. at the Earl-Grossman Funeral Home, 208 N. Michigan St., Argos, Indiana with Rev. Mark Fishburn and Rev. John Fishburn. Burial will follow at the New Oakhill Cemetery, Plymouth, Indiana.